Machine Learning (ML) is a growing subset of Artificial Intelligence (AI) that uses statistical techniques in order to make computer learning possible through data and without any specific programming. What this means is that ML makes use of large amounts of labeled data and processes it to locate patterns before applying what it learns about and from the patterns to its program. This enables the computer system to learn, test itself and self-adjust for increased accuracy based on the results. The developments within AI and ML have lead to what is known as Predictive Analytics as well as Deep Learning (both are considered fields within that of ML). Predictive analytics, through big data and data mining, identifies patterns within the labelled data and then makes predictions based on its understanding of said patterns. The more data it can collect and process, the more accurate its probabilities will become. Whereas deep learning uses different levels of algorithms known as Artificial Neural Networks (ANN) that are loosely based on the human brain to process unstructured and unlabelled data. This ANN hierarchy is able to progressively learn something more and more complex about the data in question until it reaches the top level and is able to identify and label the data itself. 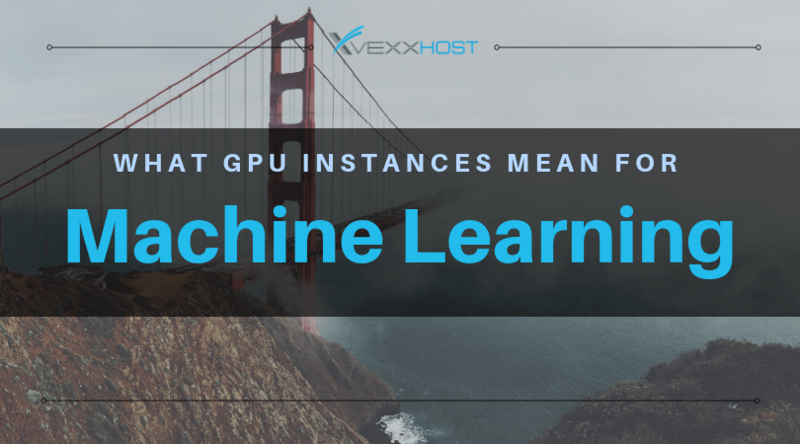 These advancements within the ML field were made possible in part due to the application of enterprise-grade GPU instances. As discussed in our previous blog post on GPUs and data mining, enterprise-grade GPUs are optimized for processing and interpreting large amounts of data, making them perfect for ML applications. For example, GPUs are able to offer vast performance improvements for predictive analytics as they make use of the majority of their potential computing power, processing mass amounts of data in short periods of time. This enables predictive analytics to become increasingly accurate, at a much faster pace. In the case of deep learning, GPUs are at the forefront of its development and evolution. For example the inclusion of Tensor Cores in some modern GPUs holds benefits specific to deep learning as these cores are specialized for computing the intensive algorithms involved, at speeds faster than standard GPUs. There is also the importance of memory where deep learning is concerned as well as the issue of potential slow-downs or stalls to data processing and specific tasks upon accessing it. Again, enterprise-grade GPUs provide a solid solution as they have their own dedicated memory that in turn interacts with their parallel processing architecture. This allows quick and easy access for the computer system to reference stored data or previously learned information without significant delays or the need for its current task to stall. With the help of modern enterprise-grade GPUs, machine learning, its subsets, and the overarching field of AI in general are able to experience improved results in shorter time frames across the majority of their undertakings. This has lead to significant developments in major industries with some pretty incredible benefits. Take the health industry for example, by employing deep learning they have been better able to predict the efficiency of certain drugs as well as any undesired effects or interactions without the need for significant human testing. The healthcare industry has also been able to use deep learning to determine the level of risk for certain health issues in individuals through data collected from electronic wearables. As such, the science and study of machine learning will continue to advance in tandem with the continued support and evolution of enterprise-grade GPUs.